Photographs by Douglass Baglin and Gordon Clarke. 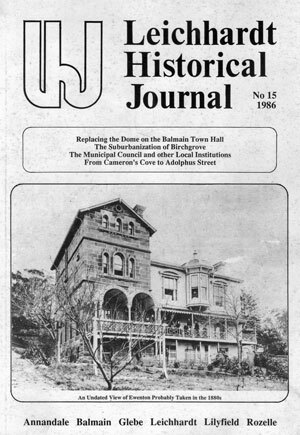 Featuring historic houses of Balmain. 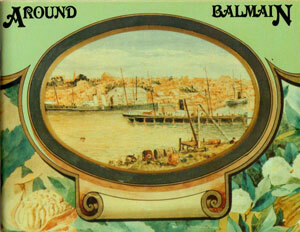 “Around Balmain” has been produced in an effort to provide the “book about Balmain” that so many people request when they visit the area. We have chosen to provide a view of the older houses in which people live, of their schools, hotels, hospital and public buildings but not, with a few exceptions, of their working lives either now or in the past. We have tried to select some locations with particular historical interest, and others that reflect types of dwellings built in the 19th and early 20th century; a tour in fact, “Around Balmain”. 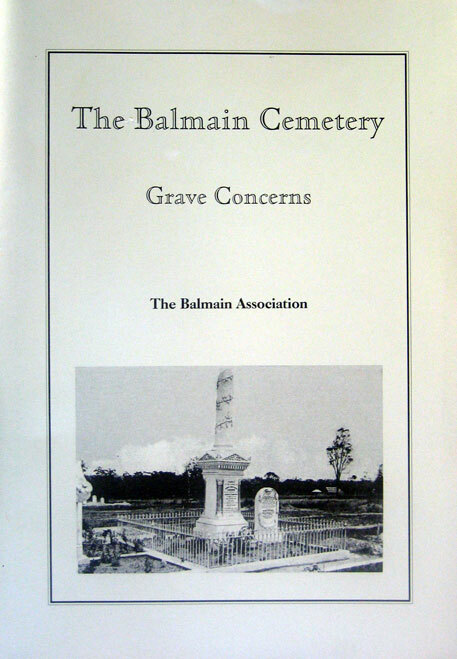 The importance of the Balmain Cemetery has been little appreciated in the past except by the family historian, who, when obtaining the death certificate of an ancestor, would find under place of internment – the Balmain Cemetery. Where was this cemetery that accepted 10,608 burials from 1868 until its closure in 1912. It is with regret the historian is told the sorry tale of neglect and vandalism of the headstones, when the Cemetry area in Norton Street Leichhardt became Pioneer Memorial Park in 1941. Read about the efforts of historian Percy Gledhill who rescued and relocated sixteen memorials in the 1940s, find out where many of the headstones went and why the Balmain Cemetery is in Leichhardt. Sixty three commemorative plaques were installed on buildings of note in Balmain and Birchgrove as a Bicentennial Project by members of the Balmain Association and the Rotary Club of Balmain. 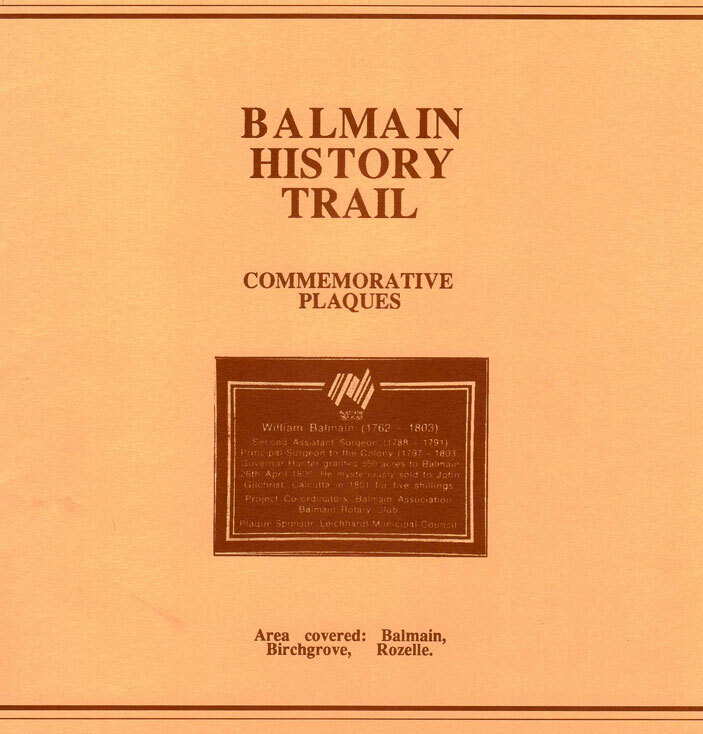 The booklet provides a details of each plaque and a map tracing the location of each of the plaques starting from Darling Street ferry wharf in East Balmain and winding through Balmain and Birchgrove to Mort Bay Park. 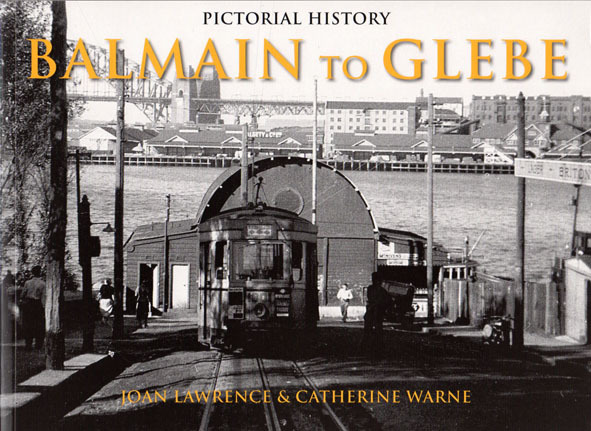 Balmain Peninsular Transport History provides a fascinating insight into the ferries, trams, railways, horse and motor buses of a bygone era. From the early days watermen rowed residents from Millers Point to wharves at the east end of the peninsula. As the population grew the watermen formed a ferry company under the control of the Perdriau family which in the 1880s became the Balmain Steam Ferry Company providing services to wharves on both the north and south sides of the peninsula. Duncan’s book takes us on a journey from the days of those very early ferries and horse drawn buses, through the era of trams to the present day. 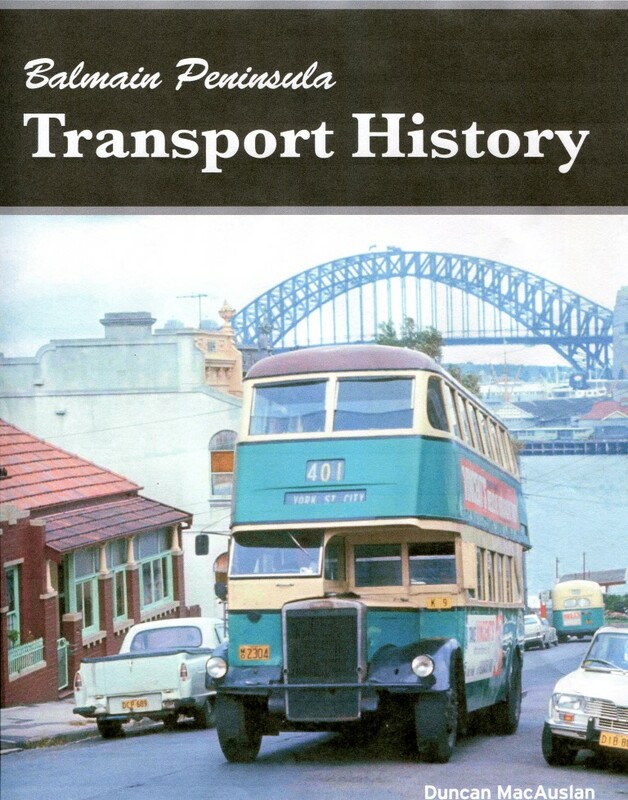 Balmain Peninsula Transport History is published by the Balmain Association and sponsored by Cobden and Hayson. The Leichhardt Municipality is composed of Balmain, Birchgrove, Rozelle, Lilyfield, Leichhardt, Annadale and Glebe but each area has its own unique and interesting history. Once virgin bush and tribal lands to the aborigines the land was parcelled out in government grants soon after European settlement at Sydney Cove. This book, richly illustrated, traces the development of the municipality from then to the present day. Broughton Hall is the name given to the two-storied Georgian House painted white and built in 1842 on a three acre corner of Wharf Road and Church Street Liyfield. By 1878 the Keep family, who owned Broughton Hall, purchased the rest of the property with another fine house known as Kalouan. Broughton Hall gave its name to the psychiatric clinic established after WW1 and later the day hospital. 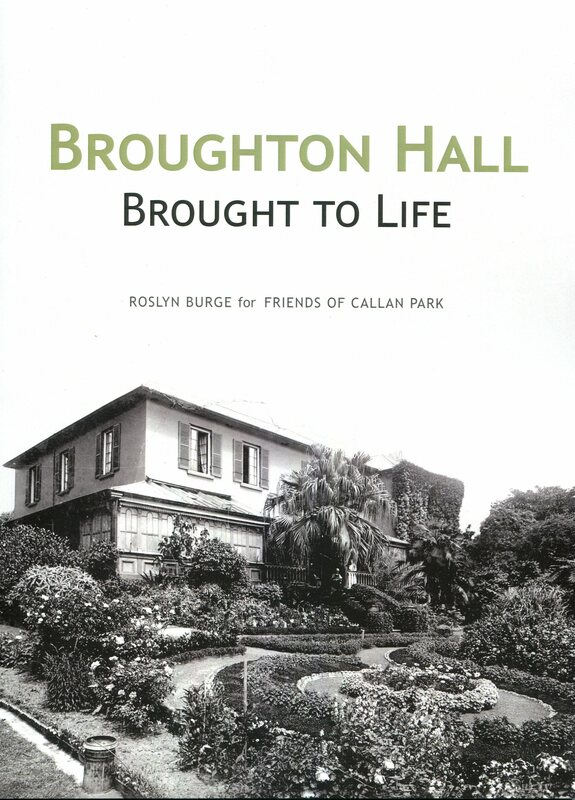 This remarkable publication, two decades in the making, provides a detailed history of Broughton Hall from 1840 to the present. A fascinating read with many historic pictures and documents. 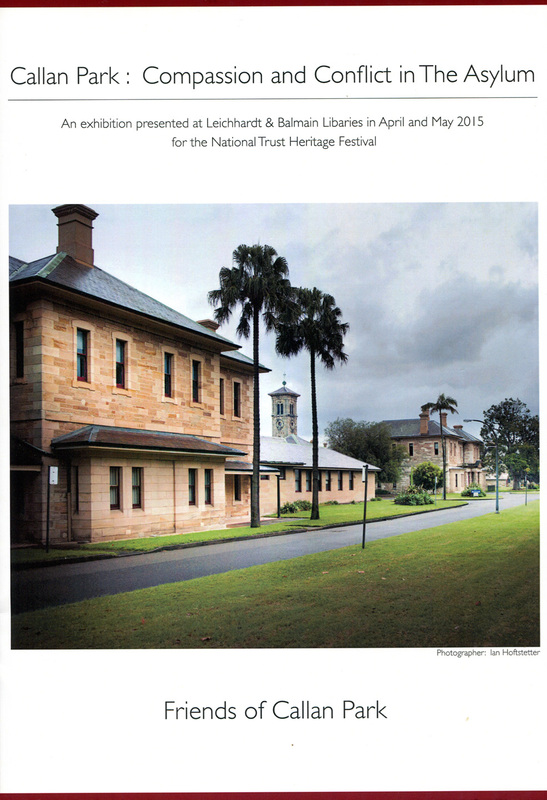 This book is a record of an exhibition presented at Leichhardt and Balmain Libraries in April and May 2015 for the National Trust Heritage Festival. Thousands of people have passed through the gates of Callan Park a site where history is many layered. There are stories of horror and abuse and stories of respite and care and recovery. The exhibition highlights the stories of patients in the asylum, staff who worked in the wards, children who grew up within the walls and the broader community who care about Callan Park. The first hotel in Balmain opened in 1842 to provide refreshment for the occupants of the houses being built on the recently subdivided land, and from that time on, hotels provided a basis for the social and political life of the growing suburb. At this time licenced hotels were open from 4am to 6pm and were required to have two sitting rooms and two sleeping rooms fit for public accommodation. In 1849 the closing hour was extended to 10pm. This volume is an attempt to provide a pictorial history of all the hotels which have existed since the first residents moved into the area. A memory of Colgate-Palmolive in Balmain, New South Wales. 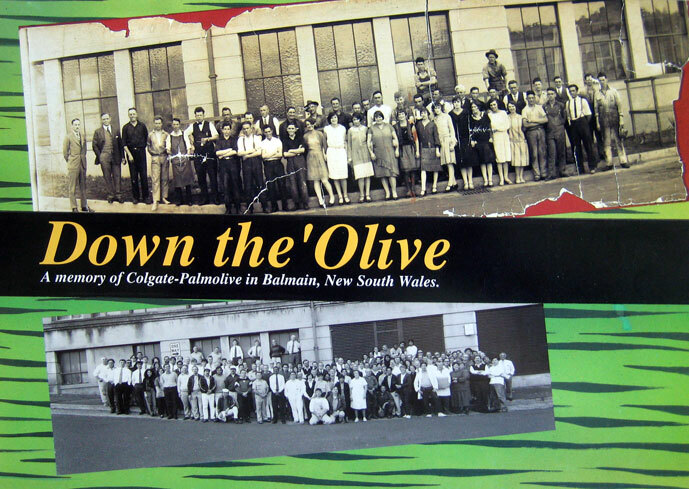 The Balmain plant is where it all started for Colgate-Palmolive in Australia. In 1923 when the first soap boiling took place, Balmain was a suburb known for its industry, its shipyards and it coal mine. This small book is not a definitive history of Colgate-Palmolive or the Sydney suburb of Balmain. It is a book of memories of some of the people who worked at Colgate-Palmolive’s first Australian factory and it reflects an important part of Australian history gone forever. Selected walks in the municipality. 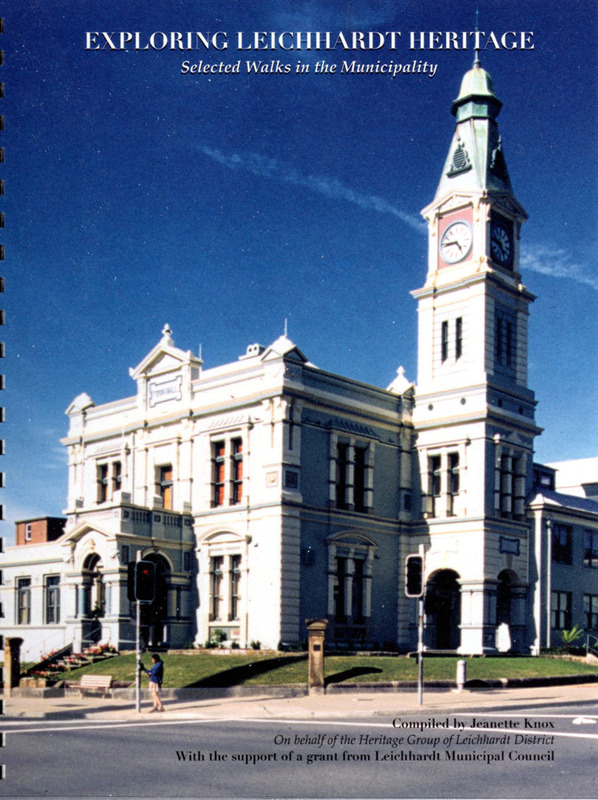 The municipality of Leichhardt is an inner city one which incorporates the suburbs of Annandale, Birchgrove, Rozelle, Leichhardt, Lilyfield and, between 1968 and 2003, Glebe. All these areas were amongst the earliest settlements in the Sydney region and they still retain significant buildings dating back to the 19th century. The walks described in this booklet enable the visitor to observe many of them. What was life like in Balmain in the 19th century when there was no reticulated water supply and there were no sewers. This book will never allow you go to the toilet without a passing thought for high infant mortalities, dunnies out the back or nightmen whose bread and butter was what you usually put down the toilet. The present sanitation system that you take for granted saved Sydney from self-destruction. Learn some defecating history as well as some of the politics of water supply, sewerage and infectious diseases. The few remaining Balmain dunnies are both an endangered species and a reminder of a critically important part of our history that Getting to the Bottom of Bamain’s Dunnies flushes out. Growing up in Balmain with Wal Gourlie. 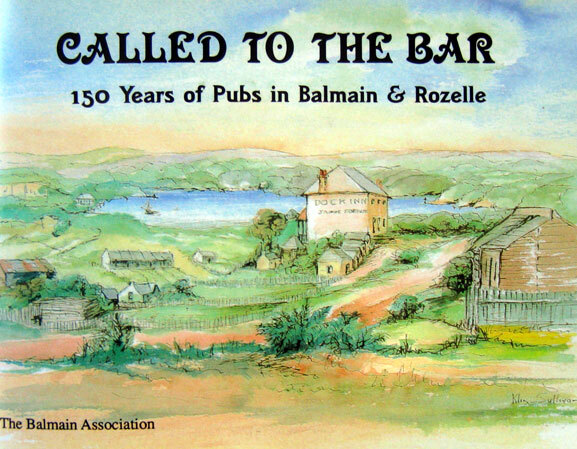 Some years ago Wal Goulie gave the Balmain Association a dozen pages of memories of his boyhood which he titled “Balmain of Old”. 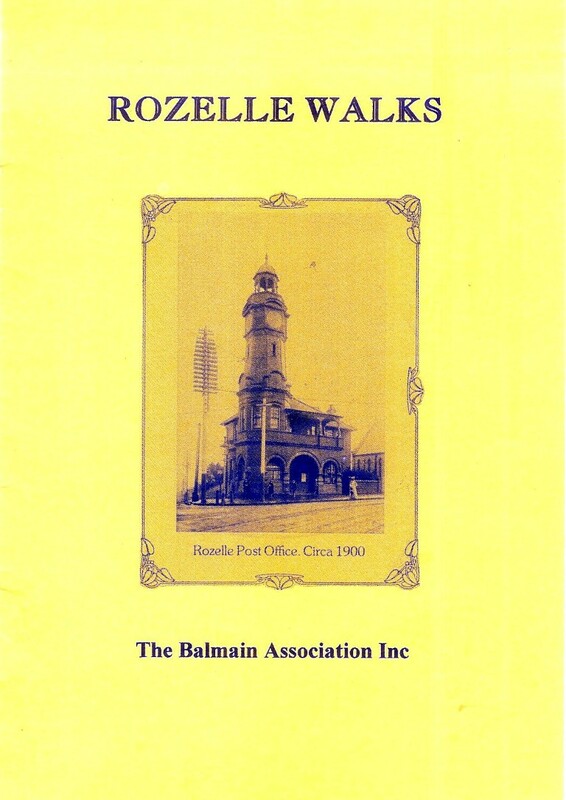 With Wal’s permission the material appeared in the Balmain Association’s monthly newsletter, frequently with additional information to update the article. The resulting column “Gourlies Corner” became one of the publication’s most popular features. This volume brings together all of the material he provided, together with some of the additional data. It also include for the first time his recollections of his school days. 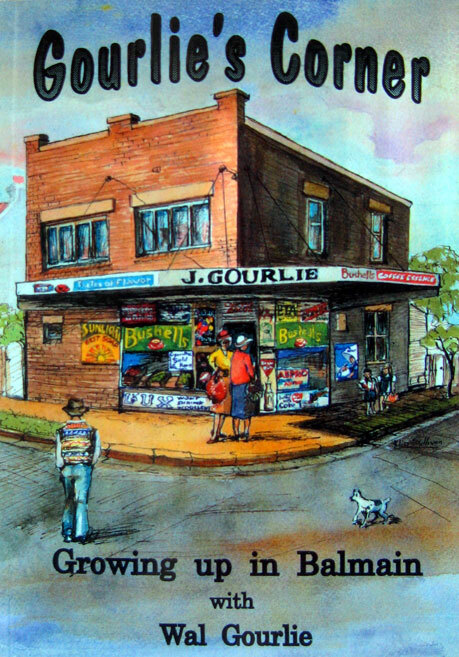 “Gourlies Corner” was a shop on the corner of Grove and Cove streets Birchgrove. 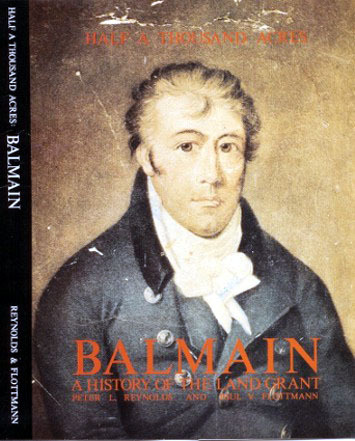 A history of the Balmain land grant. In this book the lives and times of the two main characters concerned with the Balmain Land Grant , Dr William Balmain and Professor John Gilchrist emerge from hitherto obscurity and become clearly defined by the authors’ painstaking research. The real substance of the book, however, lies in the posthumous effect of the two significant legal actions made in their lifetimes; one, the recipient and transfer of “Half a Thousand Acres” and the other, the execution of their wills. Mort Bay used to be called Waterview Bay. At the head of the bay was the mouth of a small stream which ran down from the Balmain Hill through the valley of Strathean. On its way the stream collected in pools which came to be known as Curtis’ waterholes – an important source of fresh water in the days before corrugated iron tanks and piped water supply. Sydney Harbour was a bustling port in the second half of the 19th century with Balmain a centre of maritime industry. Many waterfront activities, for example Morts Dock, repaired and built ships which relied on coal as a source of power. In the 1890s Balmain was declining as a pleasant place to live. Another heavy industry would accelerate its decline – the coal mine. Below Sydney harbour, the Bulli coal seam swept along the coast between Newcastle and Woollongong at 3000 feet below sea level.To tap this seam within Sydney harbour would eliminate transport cost, provide a local supply of coal, and allow ships to be loaded for export. This leaflet provides details of the mine shafts, their construction and operation and the impact on the community through to the sealing of the shafts in 1945. Beneath Gladstone Park lies the old Balmain reservoir. Before the Park was thought of, the place was known as the Pigeon Ground. In earlier days pigeon shooting took place on land opposite the Town Hall. Later the principal pigeon matches were “shot off” on land owned by the a’Beckett family since 1853 – now known as Gladstone park. This leaflet details the history of the development of the park, its use as an underground water reservoir, and the resident action to maintain and improve facilities such as the bandstand, bowling club and school. John Thomson, known to his many friends as Jack, has spent all his life in Balmain. Born in 1927 Jack remembers the days of the Depression, when kind greengrocers put aside “specs”, fruit which had spots on it that they gave to hungry children. As well Jack’s childhood had it trials. 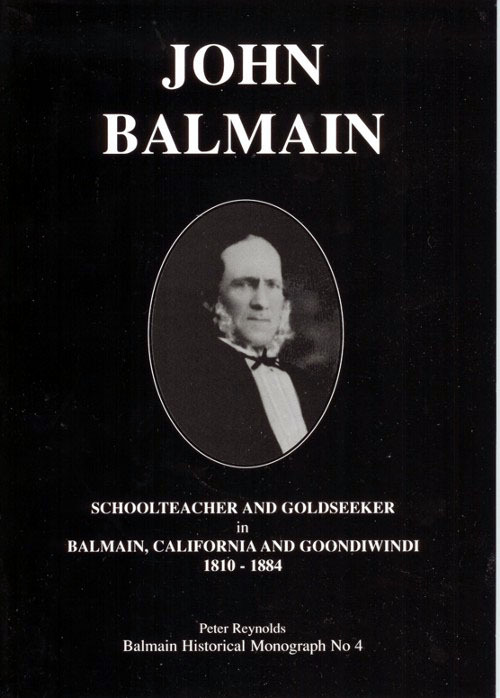 Schoolteacher and Goldseeker in Balmain, California and Goondiwindi. 1810-1884. John Balmain thought himself to be a great nephew of William Balmain to whom the 550 acres, now Balmain and Rozelle, was granted in 1800. John, on arriving in Sydney in 1837 from California became aware of the grant and, perhaps opportunistically, decided to lay claim to part of the Balmain Estate. This is the story of Johns struggle to obtain his “just rights”. Balmain Public School, by virtue of the chronolgy of its founding, has a special place in New South Wales’ history – it was one of 259 National Schools opened during the operation of the National System betewen 1848 and 1866. Developed like many schools in piecemeal fashion, the school had several names, National School (1860), Public School (1866),Superior Public School (1881), Demonstration School (1946), and Public School again (1966). 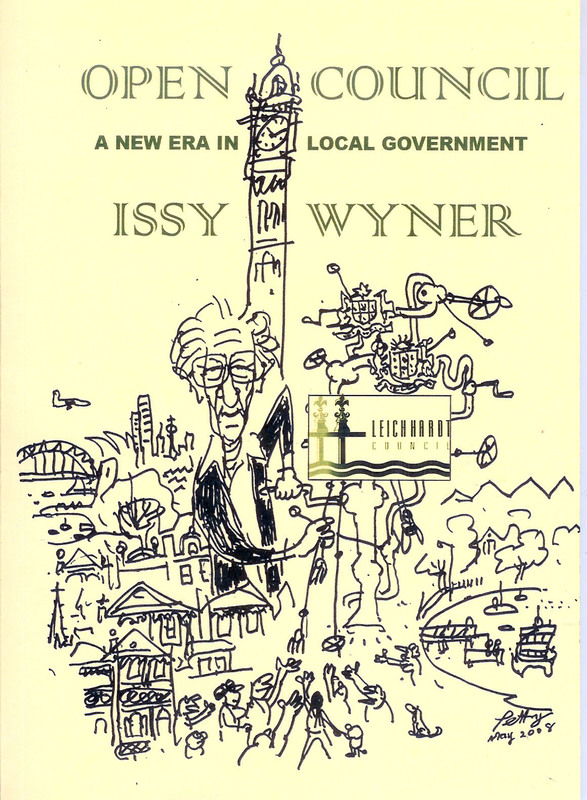 Issy Wyner was probably the best placed person to write an account of Leichhardt Municipality’s experience with Open Council, the pioneering experiment in public participation and open government that was initiated 37 years ago. Issy was one of the architects of this new system of local government and was as an Alderman and Councillor from Balmain on Leichhardt Council for 25 years from 1959 through to 1991. He was also a historian who kept meticulous files on the Council’s activities during those years. 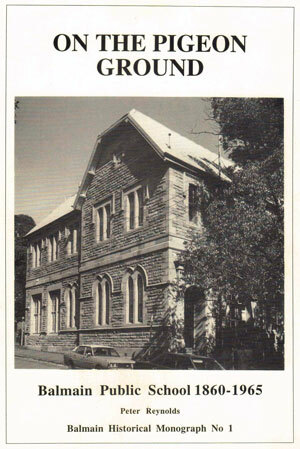 This volume is an edited version of Issy’s original draft which has been placed in the local history section of Leichhardt library, along with his Council papers. 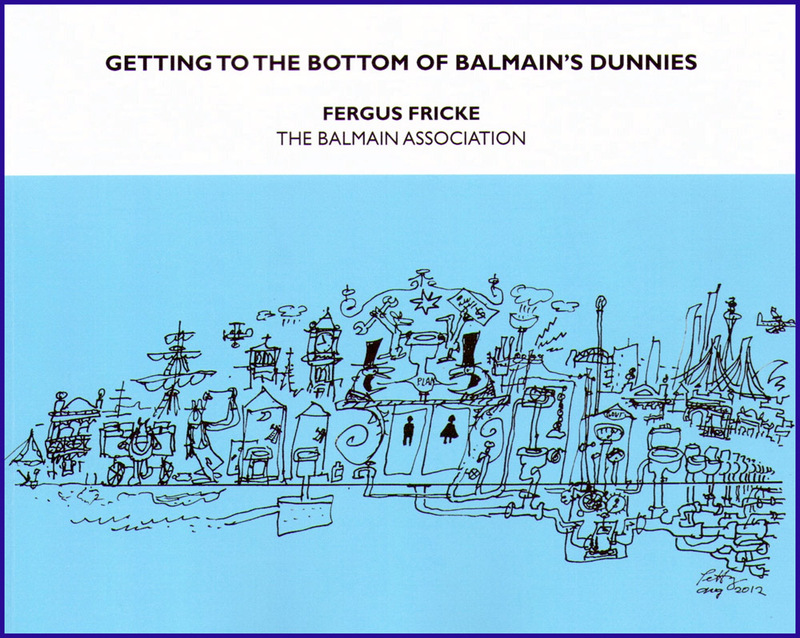 Published by the Balmain Association July 2008. The three walks offer much to delight the eye, the city and water views, pleasant parks and many interesting buildings, including timber and brick workmen’s cottages. 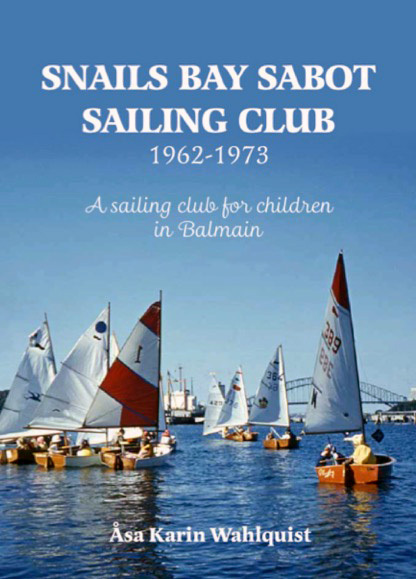 Snails Bay Sabot Sailing Club is about more than a children’s sailing club. It is about the old sailing culture in Balmain, and the area’s waterfront industries. It is about the men who worked on the waterfront, who sailed open boats with their huge sails, and the lessons they taught the children of Snails Bay Sabot Sailing Club. 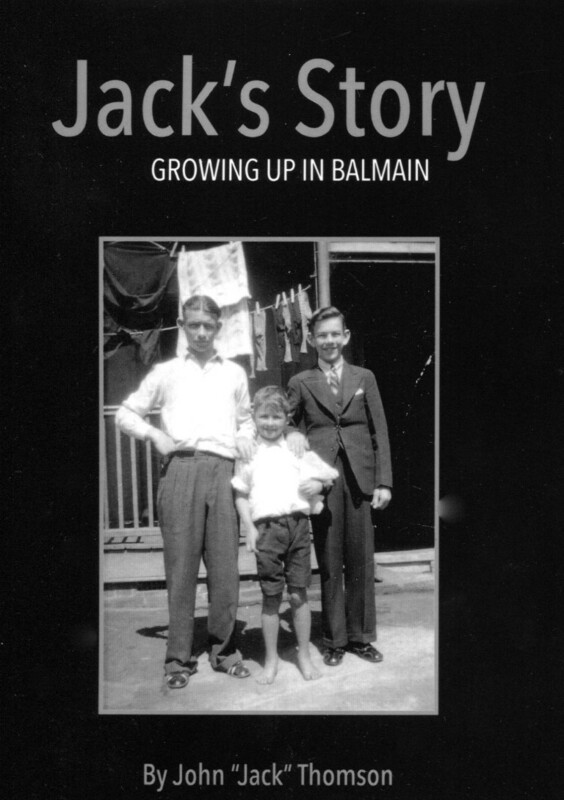 It is about being a child in Balmain in the 1960s, before the suburb was gentrified, the waterfront industries closed down and most of the old sailing families moved out. The book also documents the history of the Sabot in Australia. 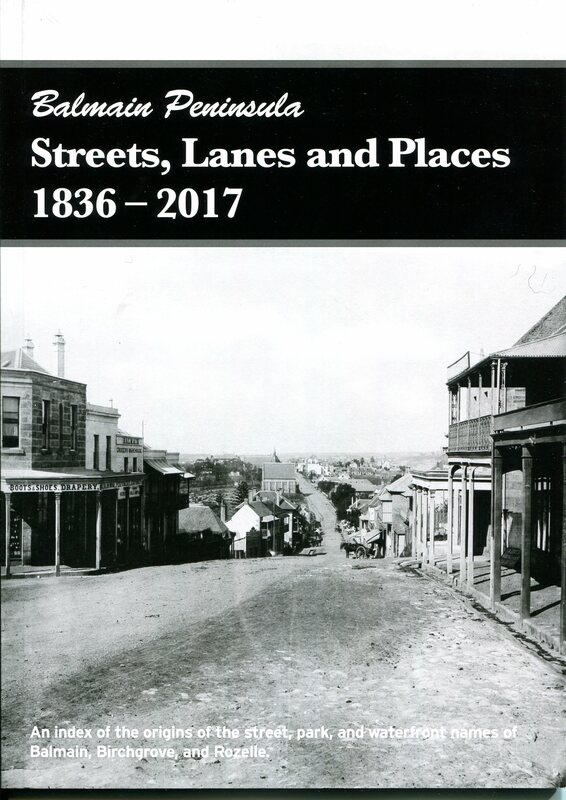 An index to the origins of the street names of Balmain, Birchgrove and Rozelle. What’s in a name. When it comes to streets, there is a wide variety of options. Back in the early days of Balmain, names became attached to tracks to identify them and some of those names remain. As time passed, purchasers may give the name of the family or of members of the family to the street. Others are identified with place names in England, Scotland or Ireland. Still others were named for government officials, battles, sportsmen, members of the Royal Family or well known citizens. Find out the origins of your street name and of all the streets in Balmain, Birchgrove and Rozelle. 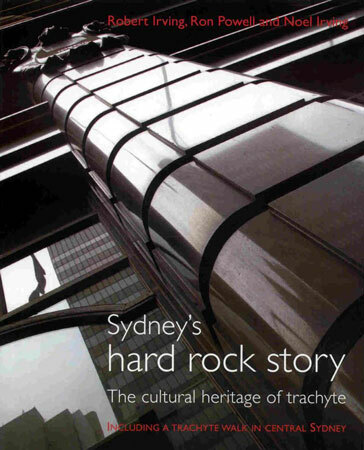 The title provides an apt description: trachyte was Sydney’s hard rock. Sandstone with all its virtues was the premier building stone of Sydney’s early and middle years but trachyte had qualities sandstone lacked and so it perfectly complemented the ‘yellowblock’ of our heritage buildings. Sydney’s hard rock provided what sandstone, with all its beauty, could not provide. This tough, distinctively coloured igneous stone was first quarried at Mount Gibraltar near Bowral in the 1880s and soon began appearing in the kerbs and gutters along the growing city’s streets. Soon it was adopted by builders and architects and it can still be seen overhead in the keystones of great buildings as well as underfoot, in myriad small and large scale projects throughout New South Wales and beyond. Its importance in the city is why the authors have called their tale Sydney’s Hard Rock Story. The book is handsomely illustrated throughout and contains 245 illustrations including 25 colour photographs. It traces trachyte’s extensive uses, starting with its geology and some of the dramas of Bowral’s ‘Gib’ and its quarrymen. It continues by examining its basic, utilitarian beginnings like kerbing. After designers were awakened to its qualities they used trachyte to create some of Sydney’s finest commercial streetscapes, as well as monuments, foundation stones, commemorative plaques and paving. A special feature of the book, showcasing many fine and surprising examples of this special stone, is the illustrated trachyte walk in central Sydney. Each leaflet contains three walks that can be undertaken separately or as one walk. The leaflets contain maps annotated with points of interest with a brief description of each. 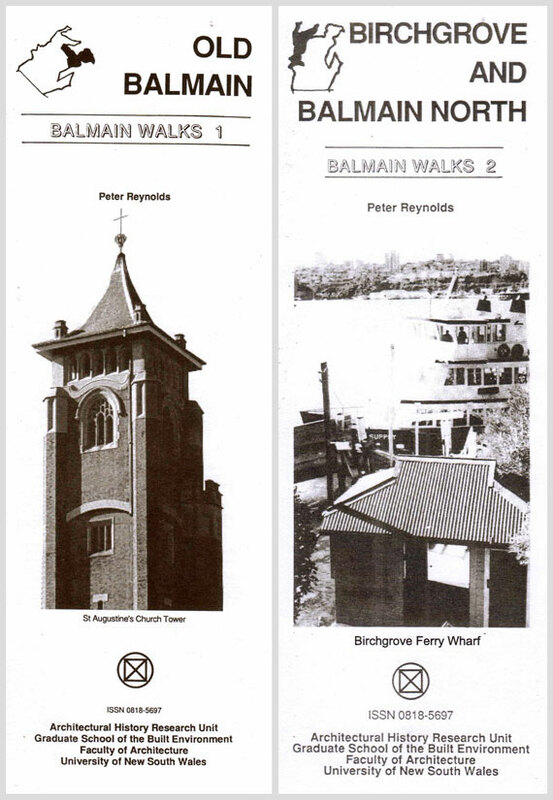 Old Balmain – comprising Balmain East walk, Ewenton walk and Mort’s Dock walk. 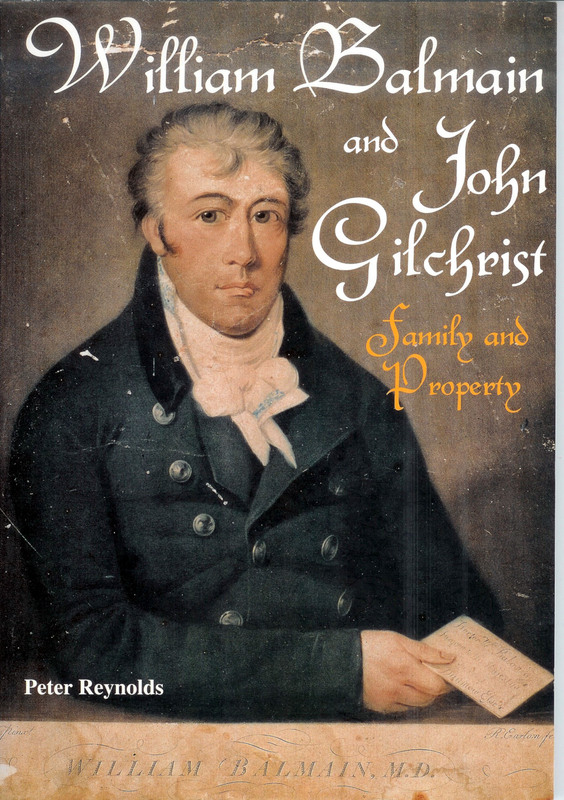 The family and Property of William Balmain and John Gilchrist and their connection.